If you don’t have a solid foundation for your portfolio, how can you build and construct a strong portfolio meant to endure the years leading you to and through retirement? Asset Allocation is that rudimentary groundwork upon which an investment portfolio is built. Like the foundation of your home, it is the most integral part of your portfolio and no other components or parts of your portfolio would be able to be constructed without it. Asset Allocation involves an investment strategy aimed to balance risk and reward by apportioning a portfolio’s assets according to an individual’s goals, risk tolerance and investment horizon. Diversification among different asset classes and industries also plays an essential role when constructing a sound portfolio. 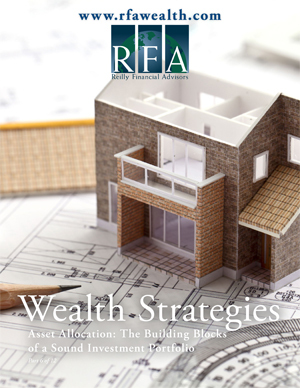 Be sure to visit Aramcoexpats.com next month for another article in our Wealth Strategies series.